People often make the assumption that design is simply how something looks. In reality, design is a significantly more complicated process, involving integration of aesthetics and usability. Design (in the aesthetic sense) is also highly subjective. What one person thinks look great, another will hate. This problem can make it difficult to assess whether the aesthetic parts of your design; font, colours, branding, etc. are affecting your website's performance. Arguably it can be much easier to check if your website's performance by using non-subjective, measurable elements. Right this second it is likely that there are parts of your website which are frustrating the visitors to your site, elements which are broken or parts which are simply old fashioned. One or more of these could be preventing the generation of new leads and ultimately affecting your website's conversion rate. If you have had your website for a number of years and haven’t checked it on simple usability components, now is the time. 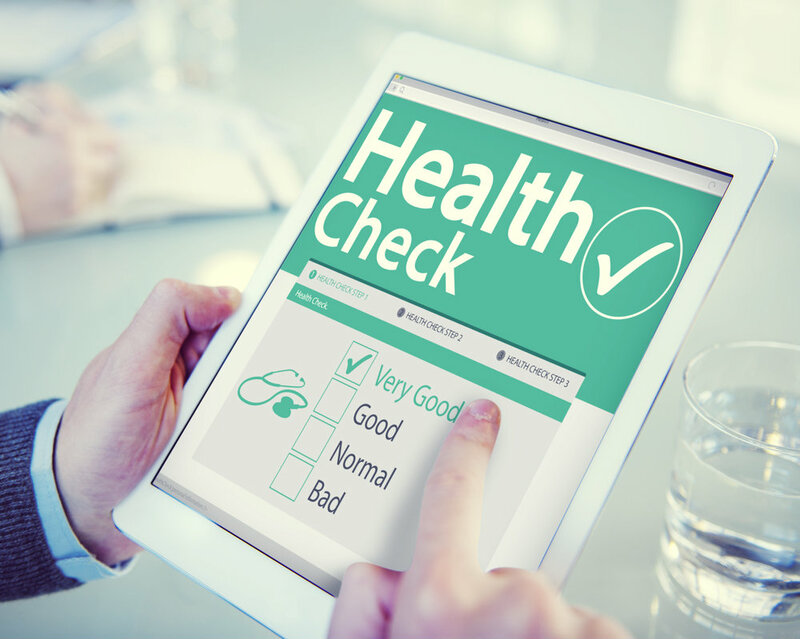 Here’s a five point checklist for you to quickly assess the health of your website. 1. Is your website showing up on page one of your targeted search terms? Check: Think about the term(s) that you would like your website to show for, e.g. dentist in edinburgh or telephone solutions for small business. Does your business rank on the listings for these terms? If not then you may benefit from assessing your website's SEO. Solution: There are many areas you can use to work on to improve your website's chance of ranking for relevant search terms. To begin you should come up with a list of the key terms you wish to rank for. Run a local business like a hairdresser? Then local listings will be important to you so concentrate on search terms with a location, e.g. gift shop manchester. Once you have the terms you are targeting you should check all Title Tags and Meta descriptions. These are the titles and descriptions that show on search engine results pages. On Google it is the blue link and the text underneath the URL. You should aim to place keywords at the beginning of these where possible. After this you can begin optimising your website's content including copy and blog posts. By placing keywords in titles and using them cleverly throughout your text you can increase your chances of ranking for these terms. You should be aware that Google and other search engines penalize keyword 'stuffing' so instead of having the term dentist in edinburgh repeated multiple times throughout the page, hidden behind images, in white font or other black-hat SEO tricks, you should instead use semantic variations. Google has indicated that when a website is crawled it will be able to understand variations for a term and determine the page's quality and authenticity. For example it can be more beneficial to use dental practice, dentistry, dental term, and other variations. You should also include alternate headings for any image on your webpage. Not only will this help if for some reason the image doesn't load, but will also be crawled by search engines. 2. Do you get enquiries from your website? Check: How many enquiries or mail list signups does your website receive? Less than you are aiming for? Solution: If you are attempting to direct users to contact you either through a contact form or by phone or email then you should assess how often and where you have this information. Often websites will include this on every page, not just a contact page so that regardless of which page your visitors land on they have a better chance of converting. You should make sure your form is clear and easy to use and that your email address works(!). Ask friends and family to visit your website and send you a question and find out the difficulties they run into. 3. Does your website have the essential pages and content? Check: Think about what you would look for when visiting a website with your products or services, does your website have the relevant pages and content to catch these queries and expectations? Solution: Think about what a visitor to your site would need. If you run a service business, like a restaurant or beauty salon, then a menu or service list might be a key component. You may also benefit from a thorough About page if your business needs to build trust, such as a dentist or investment company. You may also want to include a blog or gallery to give your business a clear voice. 4. Is it selling your business’s USP? Check: When you land on your website’s homepage is it clear what your business does? Solution: It can be easy to forget that not everyone knows your business as well as you do. You can never make anything too simple online, especially now that website visitors are becoming increasingly impatient. It is suggested that we decide in as little as 1/20th of a second whether or not a site is appealing. You need to do something that will capture your audience in this minute time frame. It can be a good idea to include a clear description of what your business offers and why your business is different from competitors as a heading on your homepage. Use a clear call to action and differentiating point: cheaper; faster; sale; free delivery, etc. can all engage people to stay on your website. Some businesses choose to use a hero image (a large, prominent banner) to engage customers. 5. Is your website mobile optimised? Check: Mobile has now taken over desktop in number of users. If your website doesn’t work well on a mobile then you could be unintentionally damaging your website’s chances of converting. If you think desktop is bad, people are even more impatient on mobile. The instant gratification has meant few people will wait more than a couple of seconds for a webpage to load and will simply click the back button on their browser if they believe your website to be too slow or non-user friendly. Solution: If your website hasn’t had an update in five or ten years then now is the time. Having a website that works on mobile doesn't have to cost the earth. Website builders, like Kommand, make running a website simple. All of the Kommand themes are mobile optimised meaning your website will look great on any device with no need for complicated programming. Better still it can cost as little as £9 month. For more information on Kommand you can visit our tour.